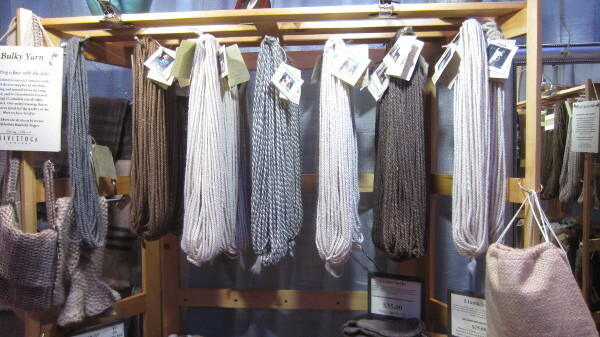 Long Island Livestock Company’s booth at Vogue Knitting Live in New York City. 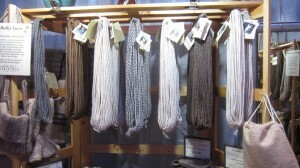 Yarn shows, also called by many in the industry as fiber festivals, are wonderful social events that span the course of a day or even a weekend. At a yarn show, you can visit the boots of many yarn companies and shops, see firsthand and purchase different types of yarn, take classes for a variety of skill levels to improve your crochet knowledge and interact with other likeminded attendees. Whether you know many other crocheters or you feel like the only one in your community, attending a fiber festival can be a wonderful experience. Attending one of these shows for the first time can seem overwhelming, but with a little planning, you will have a fabulous time. Many crocheters prefer to have their first festival experience close to home, while others want to combine travel with their love of yarn. The Knitter’s Review maintains one of the most comprehensive lists of fiber events throughout the world, organized by date. Although some of these events are knitting focused, more and more cater to crocheters, too. 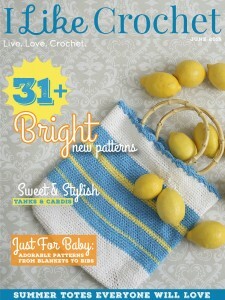 Your local chapter of the Crochet Guild of America is also a great source of information. Many chapters organize trips to local or regional festivals. If you want to spend several days away from home and meet enthusiastic crocheters from around the world, consider traveling to the annual Knit and Crochet Show, co-sponsored by the Crochet Guild of America. It’s very easy to become overwhelmed, particularly at a large fiber festival. It helps to look through the agenda in advance and set up a tentative schedule. If you’re on a budget, look for free events such as fashion shows, lectures or book signings. You may want to ask local crochet guild members, or friends from online forums like Crochetville or Ravelry, for suggestions about favorite activities. (If you are traveling for to an unfamiliar venue, don’t forget to ask about great food near the festival, too!) Keep in mind that at events that are primarily knitting focused, crochet classes may be cancelled if enrollment minimums aren’t met, so registering early is important. Although you may have planned out your schedule in advance, remember that flexibility is key. Your favorite speaker may be sick on the day of the event, or you may find that you would rather attend a class instead of shopping. Your wardrobe and packing list should be customized for the festival you choose. Many attendees will showcase a special project by wearing it. Some crocheters spend the months before a large event working on show-stopping garments. A shawlette in a pretty yarn or a fun hat are both great last minute projects to wear. Comfort is also important as fiber events typically involve a combination of walking, sitting for long periods and carrying bags of yarn. For a large festival, comfortable footwear is critical. Dressing in layers can help at both indoor and outdoor festivals as temperatures may fluctuate. Bring a small day bag or purse rather than a large bag or backpack as you may find the marketplace crowded with limited aisle space. Don’t forget to charge your camera so you can take pictures. If you are attending classes, bring the required supplies and any homework listed on the registration form. It can be easy to go overboard on your first trip to a fiber festival, especially since most vendors now accept credit cards. You will be exposed to new yarn lines, fibers, brands and colors that aren’t available in your local area, and delightful accessories. Before going to the festival, consider setting a budget. You can set your budget as a dollar amount, or as a limit to the number of yarn skeins or books you will buy. If your budget is strict, keep your charge cards at home (or in your hotel room) and bring only cash with you. At a smaller festival, you may be able to walk through the marketplace once before purchasing anything. At a larger festival, that will be infeasible. If keeping to a budget is important, bring along a wish list so you can separate an impulse buy from a purchase you’ll feel good about later. With a little planning, you can have a wonderful time at your first fiber festival. You may even find yourself hooked!